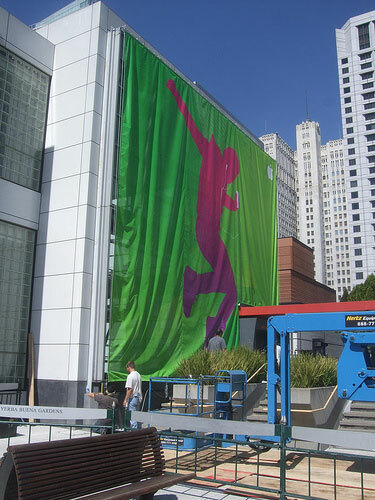 Apple’s ‘Let’s Rock’ Event is Today: What to Expect? Today is a big day for all Apple fanboys around the world! It’s Apple’s Let’s Rock Event and the rumors over the past week or so is that we can expect a few goodies to be added or updated to the Apple line up. First things first, rumors have mentioned that 2.1 firmware could be heading our way along with a much needed copy and paste feature! If that is indeed true, it’s going to make a lot of people very happy including yours truly. Also rumored is the release of a redesigned iPod Touch and iPod Nano, and the debut of iTunes 8 (which is supposed to feature massive changes). What else could Apple possibly throw into the mix? Maybe updates to the MacBook and MacBook Pro line ups, (most people say it’s unlikely and these will be coming in October, but we won’t really know until tomorrow) a cure for AIDS, an end to world hunger, etc. The list goes on! What about my 2.0.2 Jailbroken iPhone? Can I Update? Some of you folks who braved the 2.0.1/2.0.2 jailbreaking process are probably saying “NOOO! Not now, I just risked my LIFE to jailbreak!”. Whenever these firmware updates come, usually these iPhone hacking gurus will tell you to hold off on updating via iTunes until they do some “digging”. Particularly if you’re waiting for a phone unlock, I’d suggest holding off updating in iTunes. However, in my case I think I will most likely update to 2.1 immediately if it comes out because 2.0.2 is still buggy and laggy. I would like to be able to press the SMS or email icons and not have to wait 5-10 seconds for something to appear. The same goes for App Store apps crashing upon launch and my GPS maps not loading correctly at times. So that means once I update in iTunes to 2.1 (if it is released), my jailbreak will be “gone” and essentially my iPhone will be back to its factory form (which looks boring after being able to customize so much through Winterboard). I’m sure the Dev Team will come out with another jailbreak, and the game will start all over again. My 3rd party apps I downloaded through Cydia and Installer will be gone and yes, that include QIK and others (NES, Quake, Cycorder, etc). If you want to follow the Let’s Rock event, MacRumors, Gizmodo, and Engadget are your best bets for live-blogging from the event. What do you think will be announced tomorrow by Apple? iPhone 3G in hot pink? Orion Gadgets Cases Contest Results! !